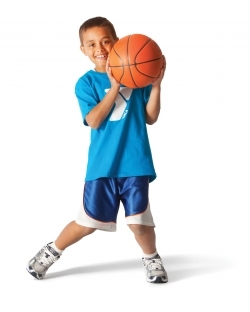 A skill development program designed to introduce young players to the fundamentals of basketball and team play. This 6 week season provides a taste of the sport without overwhelming them. Teams meet on Tuesday and Thursday each week. The first week will be practice only and begins on Tuesday, October 2, 2018. Games will begin the second week on Thursday, October 11, 2018 and continue throughout the season. Space is limited in our Youth Sports Programs. Registration closes September 24, 2018 or when teams are filled.